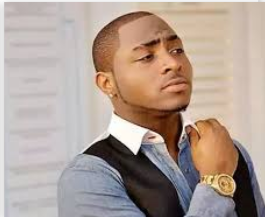 Popular Nigerian pop artist Davido have recently been trending on the web and social media because of the love and assurance he has found Chioma the love his life. Davido recently been bombarding Chioma his love many gifts one of the most prominent which is the porch car that is worth 45 million he bought for her and many others which I can't say. According to Davido "According to my lyrics in from one of my tracks titled IF it reveals my worth of 30 billion and I bought a porch car for Chioma my assurance worth 45 million which is 15% of my worth she never asked for 15 billion unlike Nigerian girls that you know your boyfriend is worth 20k but you are still asking for 10k which is 50% of his worth please try and change these attitudes if you want to enjoy your relationship.